Motorists rev up your engines as the California Mille heads to the open road. A spirited 4-day 1,000 mile journey down some of the best scenic back roads Northern California has to offer is about to begin at 8:30 a.m. on Monday, April 29th. 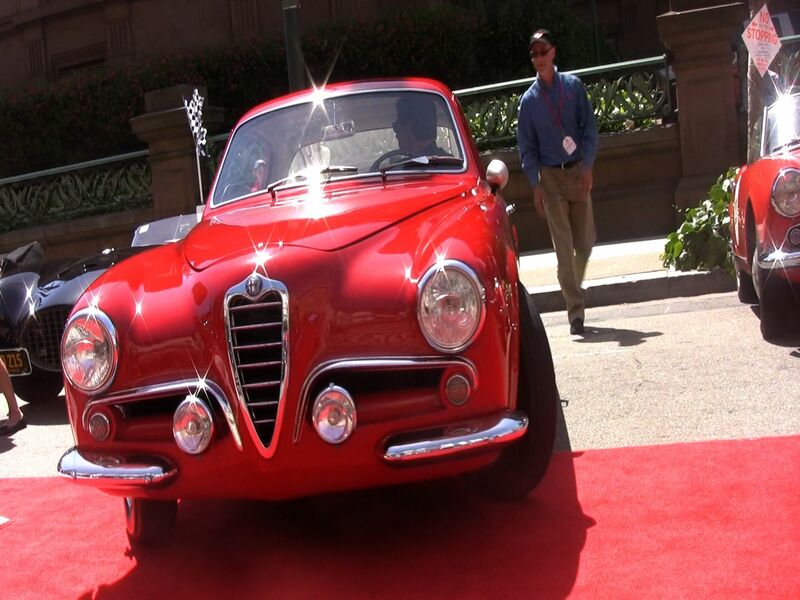 Co-Director David Swig set the pace by showing off dozens of classic vintage sports cars included in the event in front of the Fairmont Hotel Sunday. Started by his father Martin Swig in 1991, the California Mille pays homage to the famous Mille Miglia road race in Italy. Mauro Battocchi – Consul General of Italy in San Francisco, made a special appearance and reminded the crowd that 2013 is also the year of Italian Culture in the United States. He’ll be waving the Italian flag bright and early as the event gets underway. April 29, 2013 in Collectors.